Yeah, right, shopping online (especially if you are rushing to grab Black Friday or Cyber Monday deals) is a really enjoyable process — there’s no need to head out anywhere, just a few mouse clicks and done… your new waterproof cycling poncho is on its way to your door. In fact, it is not always a piece of cake, especially when you face a nearly unlimited number of products to choose from. You have to double your effort in order to make the right choice. However, search filtering can help here. When done right, it can empower users to filter out what is not relevant to them and narrow down a website’s selection of hundreds to just a handful of products that match their particular purchasing preferences. Yet even multi-million dollar websites still deliver a poor filtering experience. Luckily, those who start their online stores with X-Cart can now enjoy particularly good filtering options and logic that doesn’t break with users’ expectations. 1. Easily extend filtering functionality. Pretty much the same as X-Cart, CloudFilters module is ultimately flexible and customizable. It means that any IT pro with basic programming skills can add a new category of filter almost hands down. 2. Narrow your search as you go. Faceted search allows you to search like a pro, easily modifying the filter conditions without refreshing the whole page. You can start your search as broad as you want and then narrow it down to a smaller pool of results, weeding out the things you don’t like. There’s no need to force your users to browse hundreds of products one by one. 3. Get rid of unnecessary filters. With the help of machine learning, that allows us to extract semantics from the user query, we can automatically identify which filter category best fits the current search. If your user is looking for a red cotton dress, he’ll be able to choose style, color, and length filters, but certainly not screen resolution. Maximum flexibility! 4. Stop frustrating shoppers with n/a items. Addon allows your customers to filter your collection purely by product variants and hides items that are out of stock. For instance, if you have only two T-Shirt variants for sale — Green S and Red M, no one will be able to buy Green M or Red S T-shirts by mistake. They won’t even see them. 5. Share filtered data with your customers and let them do the same. Each filter and sorting change are automatically added to URL, making it possible for your customers to share search results with friends, for you — to provide your customers with a link right to what they want. A good marketing tool, isn’t it? Swift and powerful, CloudFilter will display the list of items your users care about most in no time, which makes it easy for them to shop quickly especially when they are pressed for time. The whole filtering process is performed on our servers, so it won’t impact your stores’ performance in any way and will let you save BIG on web hosting. The whole filtering process is performed on our servers, so it won’t impact your stores’ performance in any way and will let you save big on web hosting. Create lightning-fast search experience. Swift and powerful, CloudFilter addon will display the list of items your users care about most in virtually no time, which makes it easy for them to shop quickly especially when they are pressed for time. Extensibility and a number of filtering options. 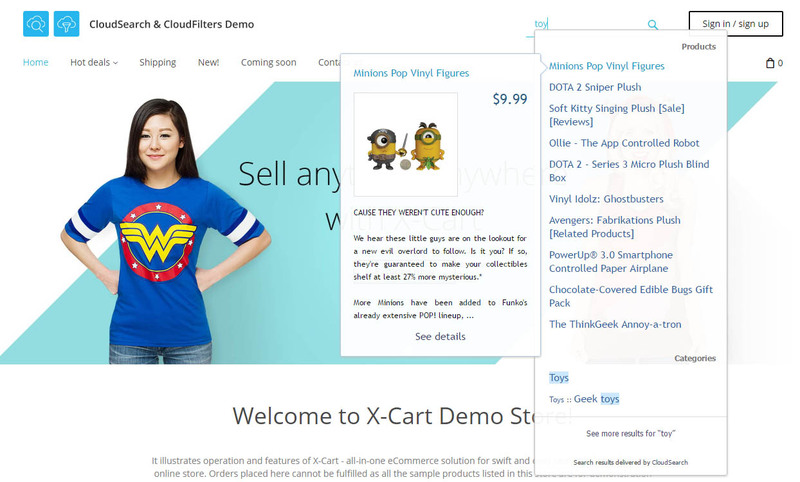 As compared to such SaaS eСommerce platforms as Shopify & BigCommerce, X-Cart shopping cart is a few steps ahead, offering virtually unlimited customizability and flexibility of options. The same is true for CloudFilters — thanks to its fully-extensible functionality, one can easily add new filters and modify the existing ones. Of course, some basic programming skills and a neat bit of coding magic is needed here, but it’s a breeze for those who knows what is what. In fact, BigCommerce built-in filter app has a larger variety of options at the moment — you can filter products by Ratings, Featured products, Free shipping. But it’s no bother at all because X-Cart CloudFilters addon lets you add any filter you need all by yourself. SaaS solutions won’t work in this case. Category-specific filtering. Though experimental, it is clearly a killer feature, allowing us to easily overcome our competitors and industry peers. With the help of semantic analysis, irrelevant category filters are hidden to keep filtering options from cluttering up. Now, hardly any eCommerce platform can offer such an option for their users. For instance, Shopify Power Tools Suite lists all the filters available on a single page — there’s no category-specific filters at all. Speed test. As compared to merchant-hosted filtering apps, like the ones of Magento or Prestashop, X-Cart CloudFilters add-on makes it possible to perform all heavy computations on our server. All that is left to do is render the filtered results. That’s why it’s that exceedingly fast. Dynamic filtering. Both Magento built-in layered navigation module and Shopify filtering addon do not provide their users with dynamic filtering experience. Every minor filter change forces the page auto-refresh, which is not user-friendly. Search + Filtering. 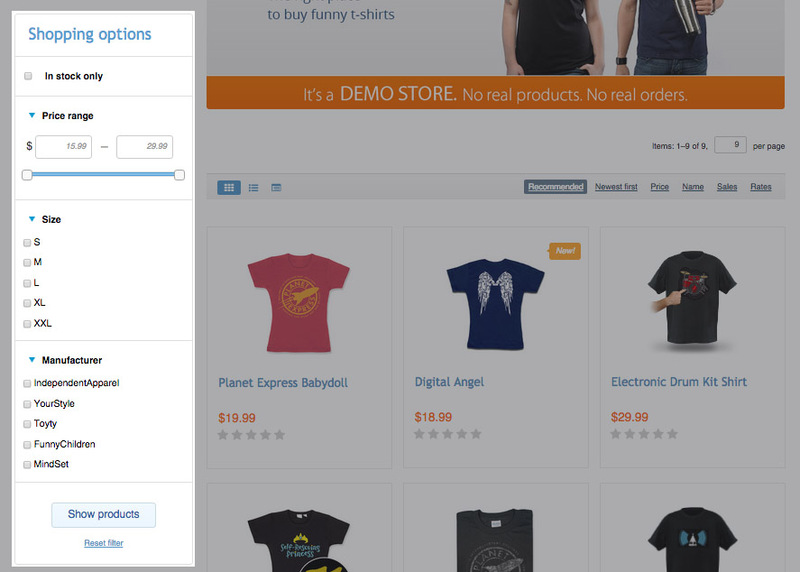 X-Cart CloudFilters module works in tandem with product search, offering excellent search and filtering experience at the same time on the same page. Prestashop most popular built-in Advanced Search 4 Module and Shopify 3rd party filtering suite lack this useful option. Product variants. X-Cart filtering functionality allows filter by variants and hide products that are currently unavailable. Seems that Magento and other industry peers cannot do it properly — out-of-stock variants are displayed, variant prices are not taken into account, though the variant images are switched. Pricing politics. Shopify offers 5 to 14 days to test-drive their filtering addons. BigCommerce product filtering is available only on Enterprise plan, while its light version with no custom fields is available on Pro plans and costs $199.9/mo. Prestashop module costs even more — €199,99. 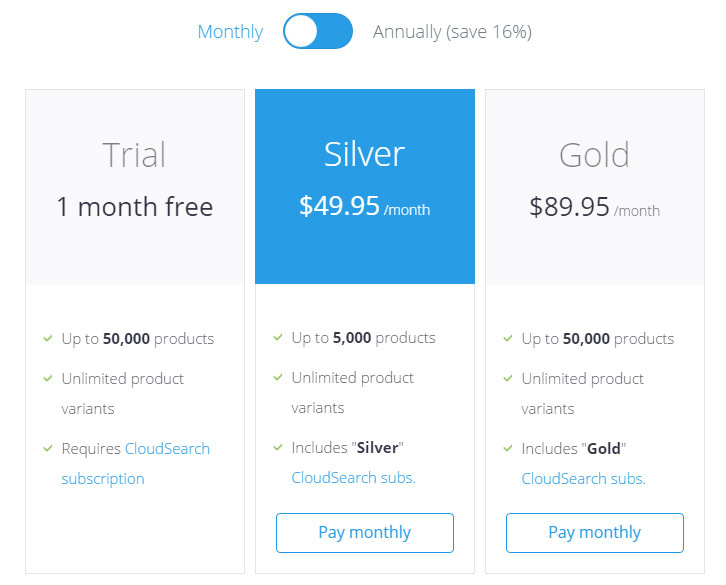 X-Cart pricing is rather moderate — two products (CloudSearch & CloudFilters) are offered together for one bundled price. What about X-Cart standard Product Filter? Although our free standard Product Filter addon, included by default in X-Cart Business edition, is good, there’s still room for improvement. It doesn’t let you filter variants as individual products or refine the list of filters, which as a matter of fact gives an automatic advantage from usability point of view. But what’s more important, it won’t work on your search page. Speaking of speed, the overall filtering process performed by CloudFilters is a way more dynamic to fill the needs of today’s society where everyone is so accustomed to instant gratification. To use this wonderful option, you will have to pay a recurring monthly subscription fee, which includes both CloudSearch and CloudFilters subscriptions in one. You can also purchase annual subscription and reduce software costs up to 16%, which is equivalent to two free months. Why is the fee recurring? Because we setup, configure and maintain the unique environment that handles all your customers’ requests. And without continuous monitoring, dedicated software and capable hardware to power it, the most part of the above features would not just be possible. Contact us if you need an Enterprise plan with a dedicated server for more than 50,000 products. The service is currently under testing, and you can use it absolutely for FREE until March 1, 2017. It means that now is the best time to give the module a test-drive and see if it works for your audience. I’m already using X-Cart CloudSearch. 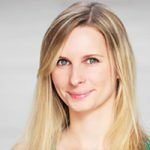 How can I try CloudFilters? CloudFilters addon is built on top of CloudSearch — it extends the proven effectiveness and power of the app to make finding the right product a breeze even when there are many search results. To start using CloudFilters you need to have X-Cart 5.3 installed. CloudSearch is already enabled by default in the latest version of X-Cart. CloudFilters need to be enabled in “CloudSearch & CloudFilters” module settings. This way you’ll be able to test both search and filters rolled in one. But what’s more exciting, all active CloudSearch subscribers will get up to 50% off for the corresponding plans — the previous subscription is canceled and a new one is activated, so you do not lose a penny. That’s the way it’s done. Why else do you need smart filtering? Happier shoppers. Flawless filtering experience can greatly improve customers satisfaction. And happy shoppers shop more — they come back and order again, and then share their experience with others. Increased desire to filter. Displaying a range of product aspects to you customers, you remind them that these attributes make difference and thus inspire to filter by them. Reduced site abandonment. Wading through fifty pages of products can be quite confusing, especially when there are no filters to help. CloudFiltes will save your customers from all these troubles and shorten your sales cycle. Now is time to reconsider your filtering potential. Have you ever thought of improving your site search? If not, it means that you are underusing your store’s selling opportunities. Go ahead, try our new addon and give us your feedback.